So you’ve finally caved and decided to go gluten free. Whether its due to illness, fitness goals, or just wanting to try something new, you’ve arrived at the conclusion that gluten free is the next step for you. Let me start by saying, congratulations and I’m excited for you! experienced and witnessed so many lives being positively changed, simply by following some simple guidelines. For starters, I would advise you to set small, attainable goals. For example, don’t look at this like you have to ‘give up’ gluten or certain foods you love for the next 100 years. Rather, look at the next 30 days. Tell yourself you will give this thing a whirl for at least that amount of time. The trick is convincing yourself to start, and then promising yourself you will fully commit to 30 days. Because, to be completely honest, once you see and feel the results after the first 30 days of strict, clean eating – you’ll be a lot less likely to want to go back to your old ways. Now, that’s not to say it won’t be tough. I found the first two weeks were the most brutal. This is a time where you body is still ridding itself of the gluten and toxins and there will likely be withdrawal symptoms. These can range from nausea, to dizziness, and even joint pain. On top of the physical symptoms, there may also be psychological ones such as irritability (let’s be honest, this is probably a given), sleeplessness, and heightened nerves. This just goes to show the power that foods actually have on your body and brain, even if you never realised they did. With all this being said, I can assure you, that if you push through those first two weeks, things will get drastically easier for you. Next up is clearing out that filthy fridge! Okay, maybe yours isn’t necessarily filthy, but there surely are some filthy, unhealthy foods lurking in it and trying to sabotage your life. Before you do anything else, get rid of them. Go through every item in your refrigerator and toss anything that isn’t good for you (and obviously anything that isn’t gluten free). This should include foods that are processed, high in sugar, or have ingredients listed that you can’t pronounce. Another good rule of thumb is if it can’t be bought around the perimeter of your grocery store (think fresh produce, seafood & meats, dairy) then it probably shouldn’t be in there. Now comes the fun part – once you’ve cleared out that refrigerator, you’ll need to restock! Just be sure you have done your homework before you head to the grocery store, as it’s easy to be overwhelmed once you are there (so many options, so many confusing labels). First, you’ll need to know whether you are doing a strictly clean diet (like Paleo or Whole30), or just simply a gluten free diet (meaning if it doesn’t contain gluten, it’s still on the table). This makes the biggest difference. Eating a clean diet means no processed foods, refined foods, or foods full of sugar and trans fat. To simplify, no grains, dairy, starches, sugars, legumes, or alcohol. This would sound awful, except for the fact that you are actually left with the most delicious and nutritious foods out there. This includes lean meats, seafood, vegetables, fruits, nuts and seeds, and healthy fats. You can believe me when I say that you can make so many amazing dishes with these simple, healthy ingredients. A quick ‘Paleo’ Pinterest search will prove help this. ‘healthy’ for you. They may be better than the alternative, but do keep in mind that eating as much minimally processed food is still the best thing you can do for your body. As far as alcohol goes, my recommendation is to put down the bottle for the first 30 days. This is to again, rid yourself of processed food and toxins. You don’t want to ruin or slow down your progress simply because you wanted to throwback five margaritas and complain about your boss at Friday happy hour (I know, that does sound pretty enticing though). If you do choose to have alcohol, make sure you go with distilled liquors as the distillation process removes *most* gluten in the alcohol. The best suggestions are less toxic alcohols like vodka, gin, and tequila. And most importantly, lay off the mixers- high sugar juices, tonic waters, and mixes. These are almost all either high in sugar and/or full of gluten. Instead, opt for soda water with freshly squeezed lime, lemons, or oranges. Your body and your hangover (or lack thereof) will thank you. In summary, the best advice I can give is to do your research. 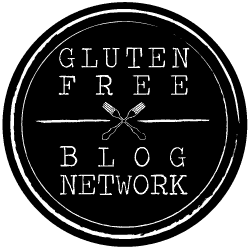 There are literally thousands of books and websites devoted to gluten free (or paleo, Whole30, etc.) lifestyles. Start by learning the basics and taking in the suggestions. Once you feel fairly knowledgeable on the topic, you can begin the grocery shopping and experimenting with new recipes. This is something that most people grow to love. Feel free to join clean eating Pinterest boards and newsletters. Just dive in. And remember, when the going gets tough (and you want to devour all the pasta, chips, and brownies that you possibly can) there is a reason you’re doing this and I can assure you that reason is more important in the long term than the 10 minutes of satisfaction you’ll get by eating that garbage.